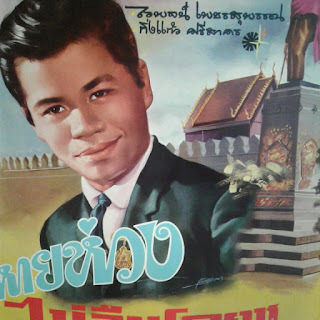 As requested another item concerning Thai-Indian (musical) relations... Waipod Petsuphan of "Ding Ding Dong" fame (Sound of Siam Vol. 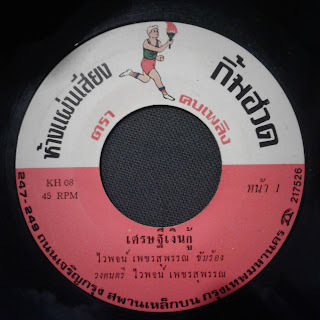 1) issued this little gem on one of my favorite labels, Khob Ploeng - nearly every single I have from them is briliant (see label logo below). On this one, Waipod sings about one of the main professions of Indians in Bangkok, money lender, backed by pseudo-indian music, sung in his unique Lae singing style! Enjoy!